According to the Government of Ukraine, in particular in 2017, Ukraine received from the EU international technical assistance for 174 million euro. The Single support framework for Ukraine 2018-2020, adopted by the European Commission in December 2017, provides for Ukraine from 430 to 530 million euro during this period. Thus, the EU carries out significant expenditures in support of reforms, aimed at promoting European integration of Ukraine, including non-repayable assistance in the forms of international technical assistance and direct budget support. At the same time, many Ukrainian citizens, including representatives of civil society organizations, do not see how EU programs and projects would help them to promote European reforms in their particular areas of interest. Thus, the effectiveness of EU technical assistance to Ukraine is, at the moment, a growing concern of civil society. The “General Architecture” of technical assistance of the EU to Ukraine is not enough transparent for the general public in Ukraine, namely: it is unclear basing on what principles the overall amount of funds provided for the implementation of broadly formulated priorities is in practice distributed among individual projects. In simple words, for the organization of civil society, representing the interests of people involved in a particular field, it is often not clear whether they can count on any support for the implementation of exactly those provisions of the Association Agreement, which directly affect them. Planning of the EU projects in Ukraine does not include any clear procedure of consultations with civil society. Therefore, representatives of interested organizations representing different interest groups receive each project as something ready and complete without their participation, although they have the status of “shareholders” or “beneficiaries” according to the terminology used by the European Commission. Plans and budgets of projects are usually not transparent, so interested civil society organizations often can not know what will happen within this or that project in three months or half a year. There is usually no information what concrete quantitative and qualitatively measurable results are intended to achieve by implementation of a particular project. There is no procedure for how interested civil society organizations can initiate adjustments to the plans for implementing EU projects in Ukraine directly in the way of their implementation. Completion of the projects is usually not accompanied by publication of a sufficiently detailed report, displaying what exactly has been implemented within its framework and what positive consequences it has led to, or whether these reports do not give a clear idea of the final outcomes of the project. 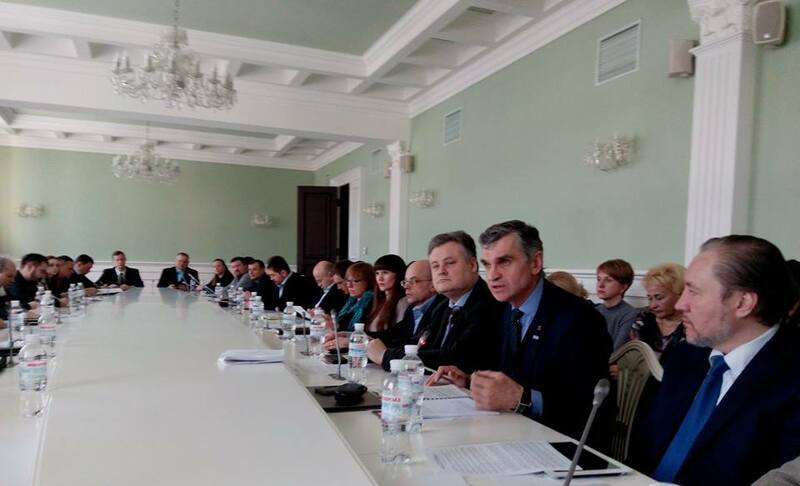 Under these circumstances, the civil society organizations, whose representatives met in Kyiv on March 19, 2018, at the Round Table “Efficiency of international technical assistance of the European Union as a factor of reforms and rapprochement between the EU and Ukraine” state, that they are seeking more involvement in the planning, implementation and evaluation of programs EU in Ukraine in the relevant fields. To this end, the participants of the Round Table agreed to deepen their interaction and coordinate their efforts to establish the necessary dialogue with the EU and the Ukrainian government. In particular, as the first step, the Round Table participants are calling on the Civil Society Platform and the Parliamentary Committee of the Association to consider in detail the issue of international technical assistance given by the EU to Ukraine at one of the forthcoming meetings. This entry was posted on Березень 26, 2018 at 8:09 pm	and is filed under Захист праці, Олег Верник, ENGLISH, Ukrainian trade unions. Позначено: Олег Верник. You can follow any responses to this entry through the RSS 2.0 feed. You can leave a response, або trackback from your own site.